Basic purpose of this article is to Discuss and Define Prejudice and Discrimination. 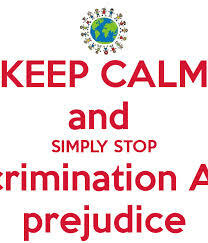 Prejudice and discrimination are already prevalent throughout human background. Prejudice has to do with the inflexible and irrational perceptions and opinions held by members of a single group about another, while discrimination describes behaviors directed against another group. Being prejudiced results in having preconceived beliefs about sets of people or cultural procedures.